A small, wedge-shaped saddle bag. 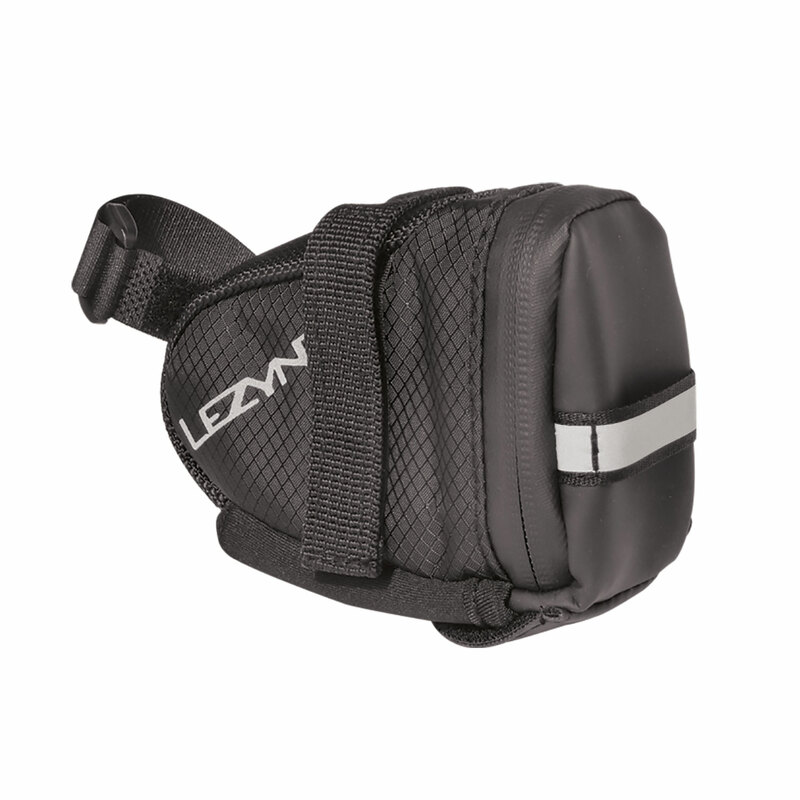 Small, wedge-shaped saddle bag. Velcro straps attach to saddle rails and seat post. Durable woven nylon construction. Labeled internal organizational pockets. External, quick access multi-tool sleeve. Reflective logos and loop increases night visibility. Water resistant zipper with large pull loop. Available in standard and loaded kits. 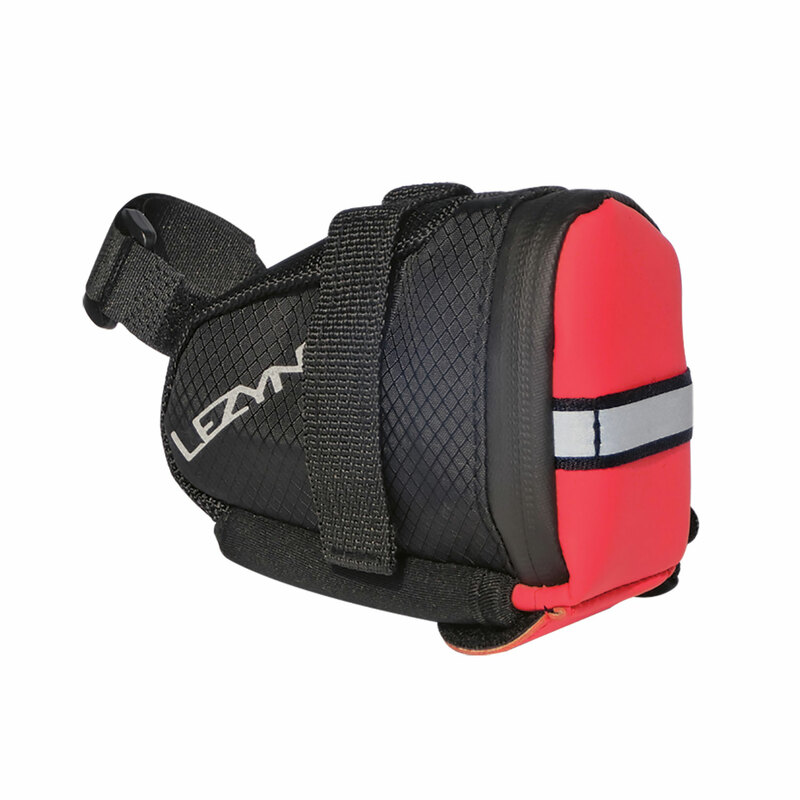 "Built at medium sizes, [Lezyne’s bikepacking bags are] perfect for long day or one way trips, commuting or very light bike packing."